Transformation is, once again, in the pharma air this month, with a shakeup at Novartis as it revamps its business and looks to reinvigorate its underperforming eyecare division Alcon. 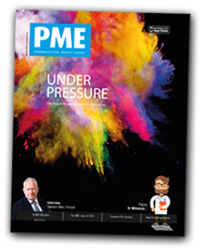 The theme of change continues with our cover feature, Under Pressure, which sees Dr Brian D Smith pick apart six inexorable forces shaping the evolution of our industry - from the ‘value shift’ to the ‘information shift’ and beyond. We hear from Takeda’s president for Europe and Canada, Marc Princen, on his company’s plans to evolve its traditional focus on primary care to one that encompasses specialty care in the form of oncology and gastroenterology, with vaccines not far behind. You can find more than a hint of what market changes to expect this year in our special focus on the new molecular entities approved last year, when the ‘class of 2015’ was headed up by rare disease therapies. 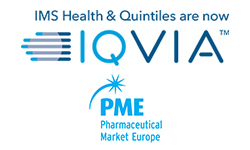 Strikingly, across all therapies, nearly 40% of the NMEs approved in 2015 worked in a new way to prior therapies, continuing the recent trend towards the development of innovative therapies and moving away from the clusters of ‘me too’ drugs all too often seen in new drug approval lists from the 1990s and 2000s.